is a sweet Spokane expedition. A lucky SIP of Spokane fan and a guest will get a boarding pass for a complimentary tour. And the winner is Julie Kuster Delaney. Congratulations Julie! Just like with fine wine, one has an very individual affair with chocolate, and this decadent tour is set to play "matchmaker" with your palate. If you're seeking a clandestine meeting with a rich dark chocolate, you'll discover it. Crave a creamy, dreamy affair with milk chocolate, welcome to it. Or perhaps you'd like a blind date with a chocolate that you've never met before or maybe you desire to experience a variety of styles and flavors. You can discover your chocolate style on Tour de Chocolat! Spokane. CHOCOLATE TASTING CLASS: Just what the doctor ordered. A hands-on chocolate class at the Chocolate Apothecary. 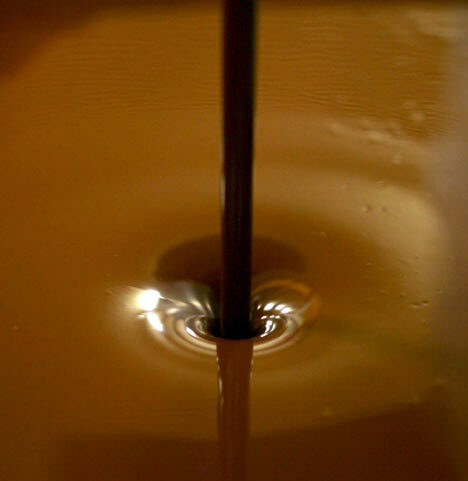 Much like the wine tasting scene, much goes into tasting chocolate. This is a prescription for happiness (especially since there's sampling involved). The class is lasts an 1 hour and it's where you'll discover the history, nuances, and magic about the chocolate you crave. You'll also get to keep a pair of Chocolate Apothecary signature mugs filled with Sipping Chocolate, which is the ultimate chocolate indulgence developed by the European chocolatiers to savor slowly resulting in great pleasure. 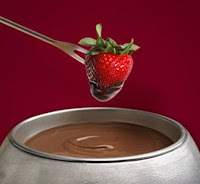 CHOCOLATE FONDUE FOR 2: Choose from their famous dark, white or milk chocolate melted and swirled with your choice accompaniments such as, Amaretto flambéed at your table or passion fruit infused white chocolate. This decadent dip is designed for dippers which include fresh strawberries, bananas, cheesecake, brownies, rice krispies treats, pound cake and marshmallows covered in crushed oreos or graham crackers. BOX OF BLISS: 25 COUNT CHOCOLATE SWEET SAMPLER: After last week's review, you may have guessed something like this was coming. TA DA! Here's a chance to indulgently find your chocolate style. You'll get 25 chances to figure out you like all of the them. This super-sized variety box of PDC contains everything from huckleberry infused chocolates to solid milk chocolate hearts and everything in between.. Dark, Milk or White - it's all there. Sharing optional. 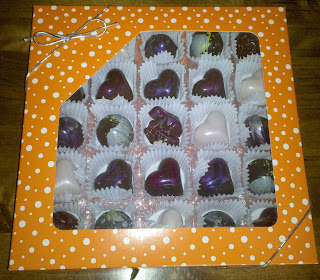 About Pixie Dust Chocolates: PDC is a small family business that is getting "sweet" reviews in and around town. All of the solid dark, milk and white chocolates are handmade and painted with either cocoa butter or shimmer dust (pixie dust). You can find Pixie Dust Chocolates at Simply Northwest, The Rocket Market, and Chocolate Apothecary among others.Go to http://www.pixiedustchocolates.com/ to find out more. DRINK YOUR DESSERT: Winemaker Henning Knipprath is well-known for producing wonerful hand-crafted wines. 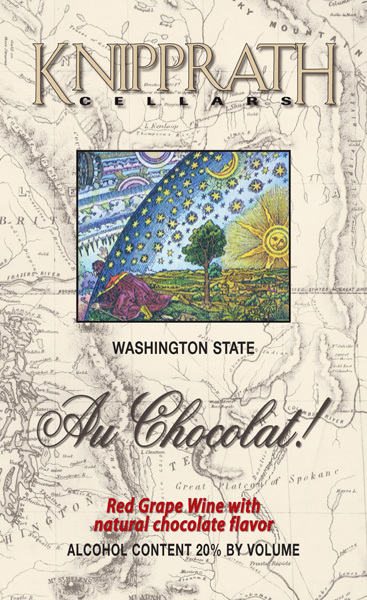 However, he may be best known for his red dessert wines meticulously barrel-aged with natural chocolate flavoring extrcted from importanted cacao beans to create "Au Chocolat!" It's the ultimate pairing for wine and chocolate lovers. This tour stop includes a private wine tasting with Henning at Knipprath Cellars, located in the former Parkwater school house in the Spokane Valley. You'll also be bringing home a bottle of award winning Au Chocolat! 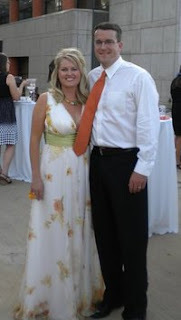 About Knipprath Cellars: Begun as a small family-owned and operated boutique winery, Knipprath Cellars started full-time operations in the Fall of 1999, and enjoys a growing enthusiasm for its wines in and out of the state. Featuring award-winning firsts for the Spokane area, such as Washington-State Pinot noir and the first locally produced Port. The tasting room and winery is located at 5634 East Commerce Ave., in the old Parkwater Schoolhouse. You had me at chocolate. This tasting class sounds positively brutal! Looks like another great reason to visit Spokane, hope to make it that way soon! "hot chocolate made" though the triple chocolate gelato is .....there are no words! I like chocolate that leave one speachless. sounds amazing! can't wait to hear more about it. I would love to go on a chocolate tasting tour!